Ask your dentist about the best way to keep your teeth clean and they’ll probably recommend an electronic toothbrush. 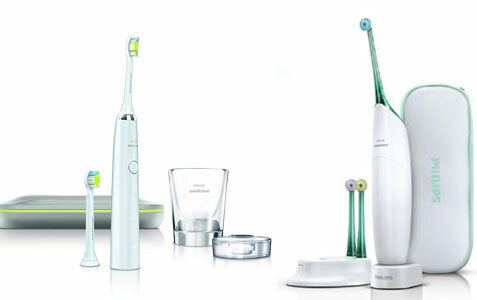 Though there’s an intimidating selection of brands and models to choose from, we’ve been using the Philips Sonicare DiamondClean for just over three months now and couldn’t be happier with the results. Powered by Sonic technology that delivers 31,000 brush strokes a minute, the DiamondClean uses gentle sweeping motions that drive fluids deep into the tight spaces between your teeth and along your gum line, removing plague in hard-to-reach areas and helping to prevent gum recession. Not every mouth was created equal, so the DiamondClean offers five unique modes – Clean, White, Polish, Gum Care and Sensitive – for a custom cleaning that will meet your specific needs, while the included Quadpacer beeps every 30 seconds to ensure you thoroughly brush all four quadrants. If the toothbrush itself wasn’t cool enough, it also comes with a charging glass that can be used for rinsing your mouth when removed from the base, as well as an ultra-sleek travel case that doubles as a charger when plugged into your laptop’s USB port or a wall outlet. For those looking to add another line of defense to their cleaning regiment, the Philips Sonicare AirFloss helps remove stubborn plague buildup with a quick burst of air and micro-water droplets. It only requires a teaspoon of water (or mouthwash, if you feel so inclined) to clean an entire mouth, and has been proven to be safe and gentle on teeth and gums. But while its name might suggest otherwise, the AirFloss shouldn’t be used as an alternative to regular flossing, so don’t even bother trying unless you want a lecture from the dentist at your next appointment. These are great work boots from The Original Muck Boot Company that are also stylish enough to use as casual boots for everyday use or going out. 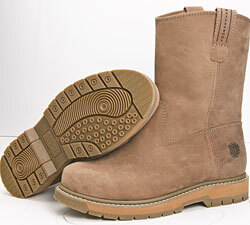 This is a functional work boot that also looks stylish as well. The key feature is standing comfort on hard surfaces with the boot’s shock absorbing outsole and Gel-Core sub-sole that adds cushioning. The Wellie is a mid-height full grain leather pull-on boot that is 100% waterproof and features breathable Hydroguard and Airmesh lining to displace moisture effectively to keep you cool in the summer and warm in the winter. They’re also available with a composite toe for increased workplace safety. The Wellie comes in brown, black and wheat featuring impressive Crazy Horse full grain leather, making the Wellie a boot you can wear out with jeans or casual pants as well. Accessories like scarves are great gift ideas, particularly if you pick out styles that fit with a wide variety of wardrobes. 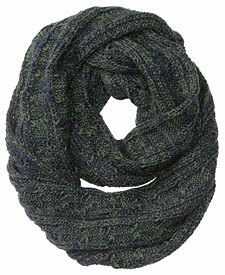 We checked out the Chunky Infinity Scarf, which is one of the many luxury scarves available from Tommy Bahama. It’s a green and blue two-toned chunky knitted scarf made of 50% wool and 50% acrylic that’s very comfortable and looks good with practically any outfit. It’s called an infinity scarf as it’s a large, closed loop of fabric as opposed to a classic scarf that’s a long strip of fabric, but you can find many classic scarves there as well. Here’s a great option for the guy that needs ties for work or just loves to have plenty of tie options in his wardrobe. The Root Bizzle Monthly Tie Club makes it easy to regularly update any tie collection with the latest styles and designs. With skinnier ties back in style as well, many of us need to refresh our tie collection. In certain professions, you may want to stick to the wider ties at work, but a skinny tie can change your look considerably for a night on the town. We checked out one of the skinny ties and were impressed with the quality and craftsmanship. Root Bizzle offers business ties with 3 1/4″ width that fit the corporate world, whimsical ties of the same width for more casual settings, and skinny ties with 2 3/4″ to 3″ width that are more fashionable at the moment and work great for nights on the town and look great with fitted suits. All are 100% silk. You can pick one of the styles for a reasonable monthly subscription, describe your preferences and then a tie will show up in the mail every month curated just for you. They make it easy to purchase a gift subscription that doesn’t auto-renew, so check out the website here. 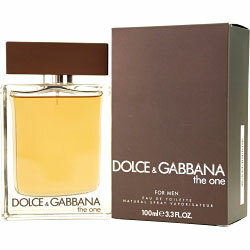 Cologne is one of the most popular gift ideas for men, so what better place to shop for your father or son than the aptly named FrangranceNet.com? With hundreds of colognes to choose from, it’s sometimes difficult to know which one to get, especially since everyone has their own specific tastes, but you can’t go wrong with designer favorites like Armani Eau De Nuit, a natural scent with notes of cedar and amber for those who want to feel more refined; Dolce & Gabbana The One, an intriguing mix of tobacco, grapefruit and ginger that is every bit as playful as it sounds; and Prada Intense, a casual but masculine scent that can be worn for any occasion. The site actually offers a whole range of grooming products, aromatherapy oils and candles in addition to its fragrances, but it’s their incredible prices and variety that make it the perfect one-stop source for stocking stuffers and last-minute gifts. These basketball shoes are great for the guy who appreciates modern shoe technology and aggressive styling. Just check out the photo and you’ll see how these bright red shoes can be a perfect gift for some and not an option for others. 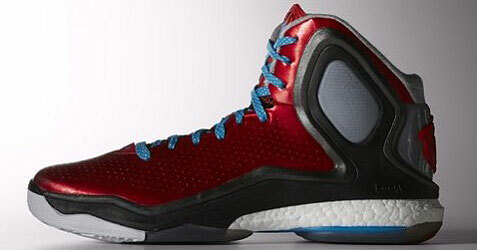 If a guy likes bright, colorful shoes, he’ll definitely get attention with these new shoes from Derrick Rose and Adidas, which are also reasonably priced. The shoes feature what adidas calls “boost” in the midsole, an innovative material that compresses and springs back with every step, returning energy to your feet for quick moves left, right, forward and back. We tried out the new shoes and they are extremely comfortable. Head to adidas.com for more information. Here’s a great idea for the golfer on your list. The Race Spiked Shoes from OGIO feature a stylish design that’s also classy and will make you feel at home in any setting, including a high-end country club atmosphere. Stability was very important in the design, so the shoe is built on a balanced frame where weight, support and traction are maximized to improve your stability. OGIO says the Race shoe draws its inspiration from OGIO’s heritage in adrenaline sports, with the goal of embodying the ideal blend of a fast look, custom fit comfort and performance. We were impressed with the feel of the leather and OGIO’s “Synkfit” insole. This is an internal stabilizing system that minimizes the movement of your foot inside the shoe, therefore maximizing the transfer of energy into the golf ball. OGIO also features its Clymate Control, one-way ventilation system that allows heat to escape from the shoe and prevents one’s foot from overheating. The idea is to make you comfortable on these hot summer days! 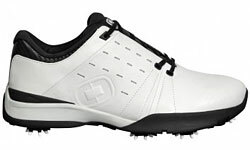 The golf shoes are also waterproof, which you would expect from premium golf shoes. 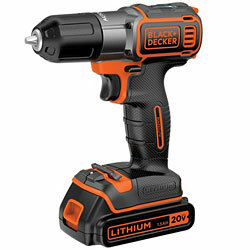 Guys love tools, and most guys can use a premium power drill. With its brand new AutoSense technology, BLACK+DECKER offers an excellent cordless power drill that both professionals and weekend users can appreciate. The technology lets you stop guessing, as this is the first drill designed to intuitively understand when to stop screws flush with the work surface. As a result, you’ll have fewer instances where the drill stops short when driving in a screw or keeps going and then strips the screw or damages the work. The 20V MAX* Lithium Cordless Drill has an automatic clutch that has proven to be three times more accurate than a mechanical clutch, so do-it-yourselfers can avoid one of the biggest frustrations of power drills. We tried it out and it works beautifully. Yes, even hammers are getting better with new technology, and every guy needs a hammer. If he already has some hammers, he could probably use a new one. It’s a guy thing. Stanley’s new hammers come in 14-ounce and 17-ounce versions, with both featuring two-piece steel hammer construction with Anti-Vibe technology that isolates vibration to the hammer head. The Anti-Vibe handle grip also reduces vibrations for comfort and control. The hammer feels different right away when you hold it in your hand. The design is cool and distinctive, and the hammer also has useful features like a magnetic nail starter for one-handed nail placement. It’s a great tool that any guy will appreciate.